Admittedly, coach Mike D’Antoni missing three games while hospitalized for an intestinal virus isn’t quite the same as Derrick Favors, Ricky Rubio, and Kyle Korver sitting out multiple games for Utah, but Houston still missed its leader. D’Antoni aside, the Rockets actually come into the series relatively healthy. Point guard Chris Paul seemed to be the only player with any potential injury situation to watch. The future Hall of Famer wound up missing 24 games this season due to elbow tendinitis and a problematic hamstring. When he did play, D’Antoni limited Paul to exactly 32 minutes per game. For anyone envisioning CP3 missing crucial stretches of close games due running into a minutes restriction, though — well, don’t get your hopes up. D’Antoni quickly made it clear that “The Point Gawd,” as he was referred to in the Toyota Center, would not have any such limitations, at least early in the postseason. Jazz coach Quin Snyder, meanwhile, said Paul’s presence on the court can’t be overstated. 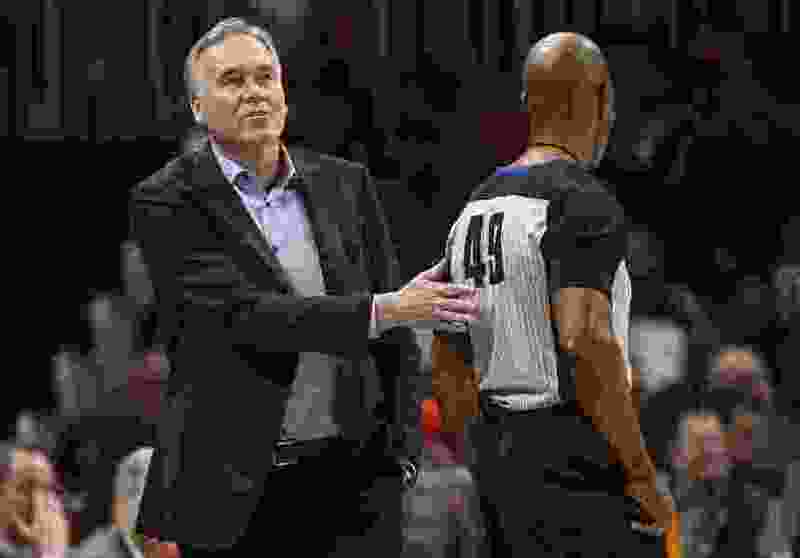 D’Antoni was asked pregame if he expected the Jazz to do anything out of the ordinary to scheme for James Harden & Co., such as what the Milwaukee Bucks did in overplaying Harden on his left hip to force him to drive right and to minimize his step-back 3-point tries. The Houston coach said he couldn’t envision it. Thing is, the Jazz did try the Bucks strategy in the first half, and couldn’t pull it off. Harden shot 7 of 14 overall (and 3 of 5 from deep) to total 17 points before the break. He also fed his teammates for seven assists, as Houston shot 48% overall and 40% from deep in racking up a 15-point first-half lead.